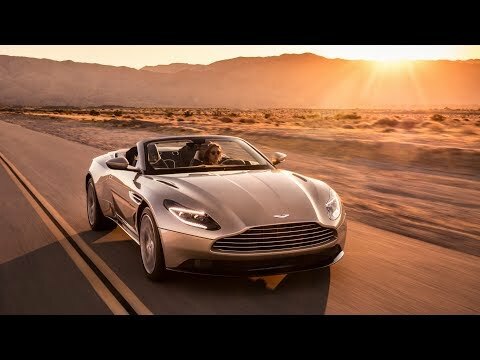 Visit our Charles Hurst dealership in Belfast to learn more about the new Aston Martin DB11 today or book a demonstration. Personal Contract Purchase (PCP) offer for Retail customers only. Not for Business Users. 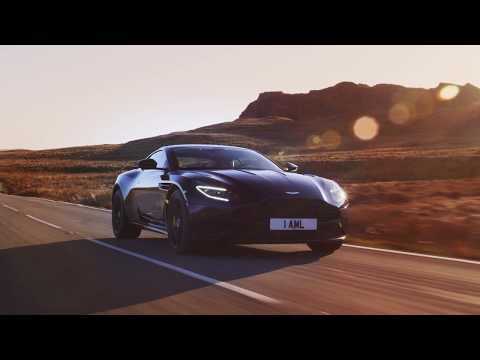 Representative 6.4% APR available on new Vantage models, registered before 31st March 2019 and proposed for finance through Alphera Financial Services. This promotion cannot be used together with other manufacturers promotions and is subject to availability. All details are correct at time of publication and are subject to change without notice. Offer may be varied, withdrawn or extended at any time. or (3) return the vehicle (a charge per mile for any excess mileage over 6,000 miles per annum in this example will apply) subject to it being in good condition. In the event that you choose to return your vehicle to us at the end of the agreement, there will be nothing further to pay (subject to your vehicle meeting our fair wear and tear standards, is within the agreed mileage and your account is up-to-date). If you choose option 1 or 2 at the end of the agreement, you'll need to pay the Optional Final Payment plus the option to purchase fee. Optional final payment and option to purchase fee not payable if you opt to return the vehicle at the end of the agreement (vehicle condition, excess mileage and other charges may be payable).Failure to make payments may affect credit rating. Other finance offers are available but cannot be used in conjunction with this offer. Indemnities may be required. Finance is subject to status and only available to applicants aged 18 and over resident in Mainland UK and N.Ireland.Cash price is based on manufacturer's recommended retail price and includes 3 year warranty, 12 months' road fund licence, vehicle first registration fee, delivery, and VAT. Finance Deposit Allowance is the amount contributed to the Customer deposit from the Dealer / Manufacturer / Finance provider that is added onto the Customer deposit amount. This therefore reduces the total amount payable and Monthly repayments for the Customer. Deposit is the amount the customer is to pay in advance of agreement commencing. Amount of credit is the balance that is to be paid by the credit facility. Repayment balance is the amount of credit totalled with the total charge for credit. Total amount payable is the sum of the deposit, repayment balance and the optional final payment. representative refers to the annual rate that is charged for borrowing, expressed as a percentage number that represents the actual yearly cost of funds over the term of a loan. This includes any fees or additional costs associated with the transaction.Fixed interest rate is an interest rate on a loan, that remains fixed for the term of the loan. Representative example is based on a total mileage of 6,000 miles over the agreement. Charles Hurst Limited and Charles Hurst Motors Limited are the advertisers and will act as introducing brokers on behalf of the lender who may pay us for introducing you.